Practices are on Sundays from 3pm to 4pm on May 22, 29, June 5, 12, 19, and 26. Matches are Thursdays 6pm to 8pm on June 9, 16, 23, and 30. Players who are younger or new to the game are encouraged to participate in our Developmental League, designed specifically to get new and young players ready to compete on the travel team. 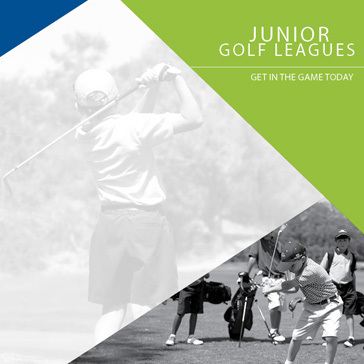 The Junior Development League features the same fun team scramble match play format as the PGA Junior League, scaled for young athletes as well as those who are newer to the game.